1999 marks the beginning of international partnerships for BCC, and since 2001 the institution has joined several EU projects. 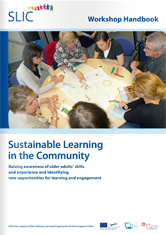 The project named Removing Barriers to learning for older people was devised in cooperation with our English, Irish and Austrian colleagues in 2002. 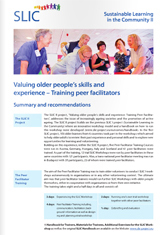 In the framework of the program, the international team defined the barriers that constrained old people in learning, collected good examples and accumulated a vast amount of experience which led to the publication of a manual to the teachers of senior courses. On the basis of the team's newly developed training program, we organized a course in Hungary in 2005 which was attended by adult educators from 8 countries. We have initiated international cooperation between different community cultural institutions in order to enhance their understanding of European Union projects and the issue of project management. We have participated in several international projects so that we could provide community cultural organizations with up-to-date information with regard to youth work. We have organized a conference to facilitate cooperation between different organizations that focus on young people as their target group. BCC has devised a community culture-specific quality assurance system in order to improve the quality of the services offered in this sector and to encourage a more partner-centered approach. 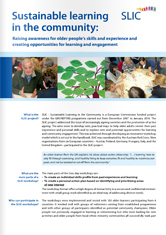 For this reason our institution participates in a Grundtvig 2 project which aims at increasing commensurability of adult education institutes on an international level. 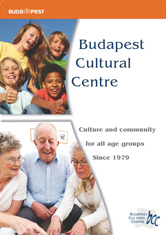 In the last few years, the Budapest Cultural Centre has introduced a successful Internet course for senior citizens (over 55 years) called “Click on, Granny!”. Upon international invitation, we have joined the project www-Golden-Age in 2005, of which aim is to develop innovative methods in the information technological training of elderly people.As a useful side effect of the courses, our senior learners have the chance to get to know each other and become acquainted with the culture of the participating countries.